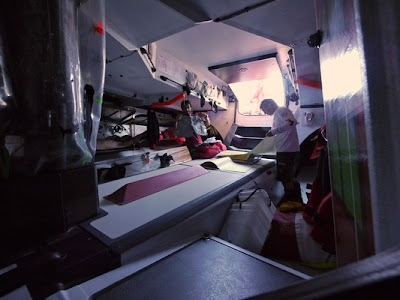 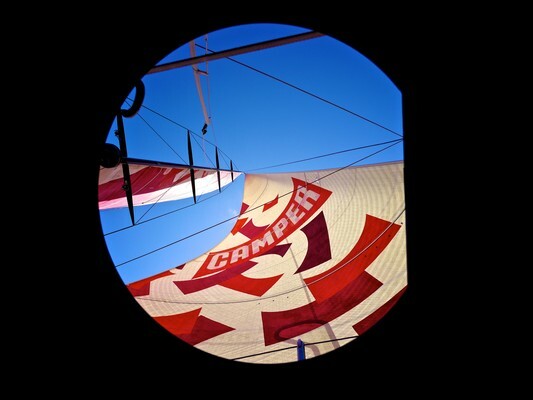 The CAMPER crew is too excited to sleep as the navigation table fills with paper charts of the Itajaí finish, now less than 50 nautical miles away, and the team prepare their clean clothes, saved especially for the arrival. The team have averaged 14 knots and covered 240 nm in the past 24 hours, but at 0700 UTC they were slowing in the expected lull near Florianopolis about 45 nm from the finish. 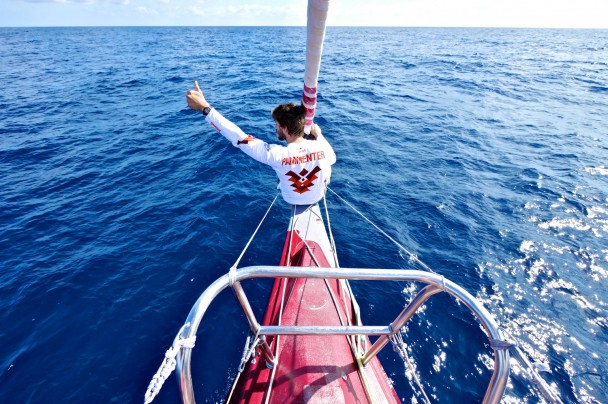 After 31 days racing, including a five day pit-stop at the Chilean port of Puerto Montt for structural repairs on April 3, the team are finally set to conclude their epic Leg 5 race from one of their home ports, Auckland, to Itajaí, Brazil. Media Crew Member Hamish Hooper said the anticipation of getting to port was greater than it had been on any pervious leg. 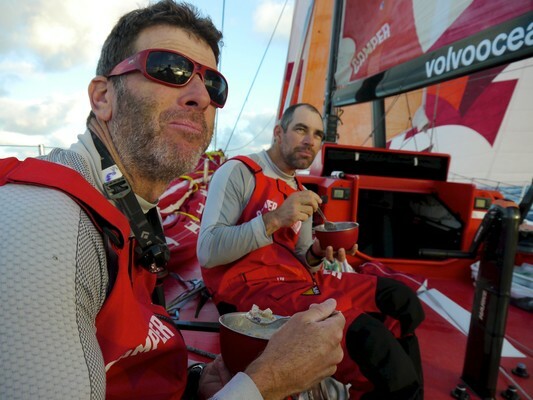 “There hasn’t been a lot of sleep on the off-watches by the guys, such is the anticipation of getting to shore and meeting our loved ones, fresh off their own long haul trips from around the world,’’ Hooper said on Tuesday morning. 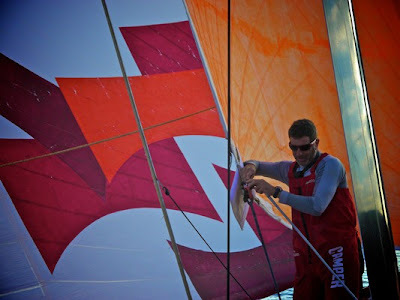 “A sure sign we are nearing the finish of the leg, Will (Oxley) had his navigational charts scattered over the engine box searching for the ones necessary for our approach to Itajaí. Should the team successfully finish they will collect 15 points that will return them to third place on the overall leaderboard. 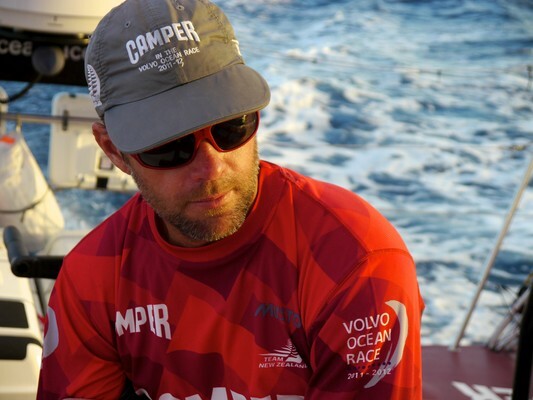 Co-skipper Stu Bannatyne said his team had done exactly what the race demands of teams. “That’s what this race is all about; collecting points as best as you can, and no points come easy in this race and this leg has been a classic example of that,” he said.